15 Minute Windshield Crack & Chip Repair in Your Driveway for Ultimate Convenience and Excellent Customer Service! We specialize in repairing windshield cracks under 14 inches in length, as well as rock chips the size of a quarter of smaller. Remember, a chip might seem small now but it WILL expand and turn into a crack. Once a crack starts to grow it's hard to stop, so if a crack is just a couple of inches now it won't be long before it's several times longer and beyond repair. Did you know that Alabama law requires car insurance plans to cover minor windshield repair? In fact, all Alabama drivers (except those using State Farm) will pay $0 out of pocket. That's right, $0 out of pocket! No tricks or catches! Serving Hoover and all other Birmingham suburbs! Before & After Pictures of Successful Windshield Repairs! Read what a few recent customers have to say! "I caught a rock to the windshield on the interstate and because I have pushed it before which resulted in the small crack costing me the entire windshield, I knew I had to fix it. I called Champion Windshield Repair to see when he could work me in. From that phone call 30 minutes later my windshield was fixed. Great company, great price, great job." 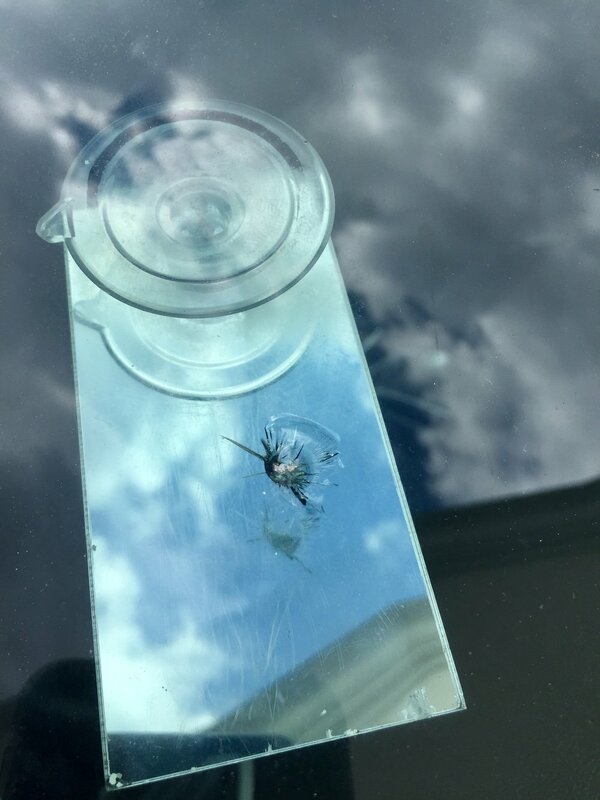 "Bill arrived within an hour of calling, I had a pretty good sized crack in windshield and he fixed it to the point you can’t even tell there was a crack to begin with!" "Bill is very fast and professional. I called him yesterday; he came to my house today and fixed my windshield. He told me exactly when he was coming; and he was here right on time! Will definitely call Champion Windshield Repair next time I have a chip in my windshield." Bill Lambeth started Champion 2005 and has been honored to build the trust of car owners all over the Birmingham Area. Bill is committed to providing a stress-free experience to both new and returning customers. He is certified by the National Windshield Repair Association as well as certified and factory trained by GlasWeld. We also follow the Repair of Laminated Automotive Glass Standard to ensure quality repairs. If you aren't 100% satisfied with the repair work performed you don't pay! As a GlasWeld Certified Master Technician, Bill has completed the coursework necessary to achieve credentials in auto glass repair. To schedule an appointment or get a fast and free quote call 205-515-5951 or complete the form and a member of the Champion Windshield Repair team will call you!